Cute as a button book for teaching creativity in the kitchen. Filled with easy-to-make recipes for simple meals and fun, well-balanced healthy lunches. FREE Kuwi Cookie Cutter! 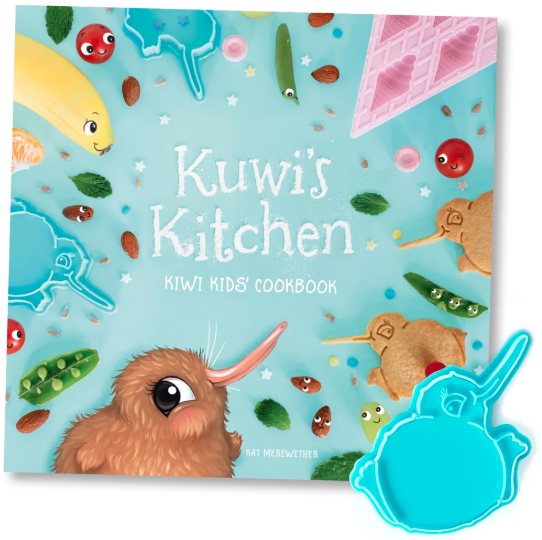 A portion of the sale of this book is donated to Kiwis for Kiwi.